Several Arab states and other Middle East actors doubtlessly breathed a sigh of relief this week when the outcome of Israel’s national elections became clear. A casual observer may have assumed Arab leaders would have preferred Blue and White leader Benny Gantz to prevail at the polls, as Gantz is perceived as more dovish and perhaps more likely to advance peace talks with the Palestinians. But the truth is Saudi Arabia, Egypt and Gulf nations all have close ties with Prime Minister Benjamin Netanyahu. For them the Palestinian issue is low on the agenda, while any change of leadership in Israel would mean uncertainty and ambiguity, and potential instability for the regional status quo. And there’s another player that, however surprisingly, is rather satisfied with the election results: Hamas. 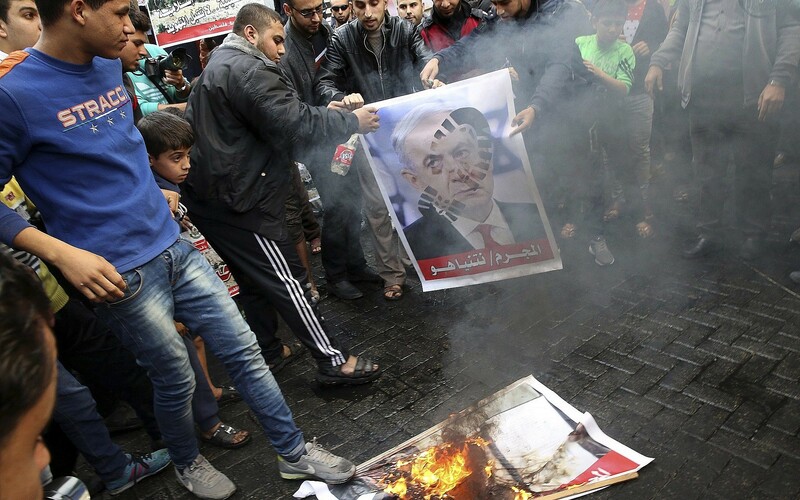 In recent weeks the terror group’s leadership in the Gaza Strip undertook significant strategic steps to rein in weekly demonstrations on the Gaza-Israel border — tied to a clear promise to residents of the Palestinian enclave of a better future around the corner. 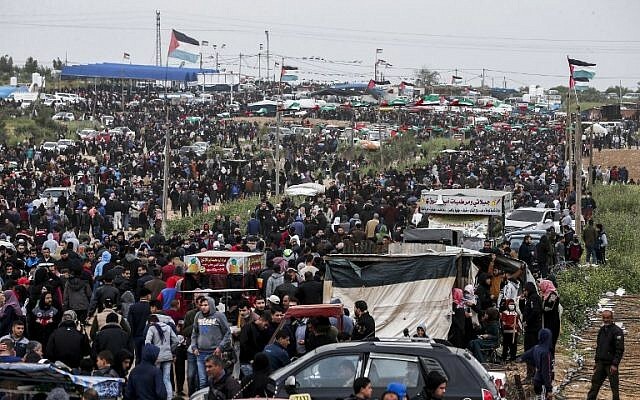 On the March 31 anniversary of the “March of Return” demonstrations, Hamas’s forces prevented demonstrators from reaching the border fence and causing serious conflagration. Ultimately, Hamas did almost everything it could to make it clear to Israel that it did not want war. And it’s safe to assume its reward will come following the formation of the next government headed by Netanyahu. Hamas’s choice to pursue a potential arrangement with Israel is not particularly shocking. 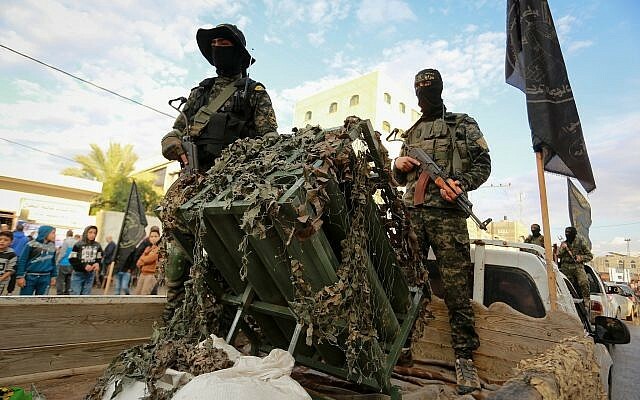 It’s a move Hamas leaders Yahya Sinwar and Ismail Haniyeh were angling for since the demonstrations began: improving the conditions for the civilian population to an extent that will allow the terror group to stabilize its rule over the coastal enclave and its inhabitants. But for its efforts thus far, Hamas has received few significant reciprocal gestures from Israel. Egyptian mediators made it clear to Hamas chiefs that a dramatic change in relations between Israel and Gaza was not on the table prior to the Israeli election, but that afterwards — assuming Netanyahu won — it would be possible to reach an arrangement that would give Gaza some breathing space. Israel has at least signaled to Hamas where things could be headed, with the expansion of the permitted fishing area off Gaza’s shores to 15 nautical miles, the resumed operations of border crossings and the transfer of funds for Gaza’s poor via the UN. In a sense, Israeli is set to dedicate itself in the coming months to stabilizing and strengthening Hamas’s rule over Gaza, while providing it with legitimacy in the eyes of the Palestinian public. In exchange, Hamas will guarantee calm in the south. Such a scenario would have seemed fantastical just a few short years ago. In the end, though, it is advantageous for both sides to work together, even if indirectly. Still, despite the cautious optimism on the Hamas-Israel front, there are quite a few factors that could yet upend the equation entirely. First off, there is the potential of grassroots action leading to an unwanted strategic shift: It would only take a wayward group of overenthusiastic Palestinians trying to breach the border fence and being shot to fast-track the sides back onto a path of renewed escalation. Second, there is Palestinian Islamic Jihad. This terror organization consistently tests test the limits of the calm, and sometimes even appears in its actions to be seeking an all-out war. Its new leader, Ziad al-Nakhala, is still not entirely understood by Hamas or Egypt. He has his own considerations and internal pressures to deal with. Hamas’s interest, chiefly tied now to preserving calm with Israel, is irrelevant to him. Third, there is the Palestinian Authority. While Israel and Egypt strive to establish calm with Hamas, it is plain that the PA is not interested in such an arrangement, which strengthens and normalizes Hamas’s rule. It is unclear what the PA’s response to a deal will be. 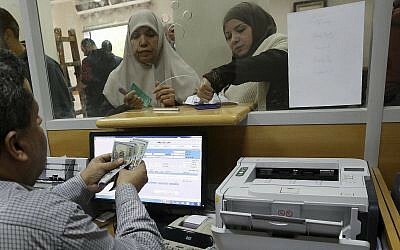 But if, for instance, it elects to slash the funds it regularly transfers to Gaza, as PA President Abbas has considered doing, this could easily lead to renewed unrest. The final factor is Hamas itself. If at some point it feels the arrangement is not going its way, one can assume the restraints it has imposed on the border demonstrations will quickly be discarded. In short, Hamas and Israel under Netanyahu are both well on their way towards a much-desired calm, and merely a pin drop away from an out-of-control flareup. This is, after all, the Middle East.